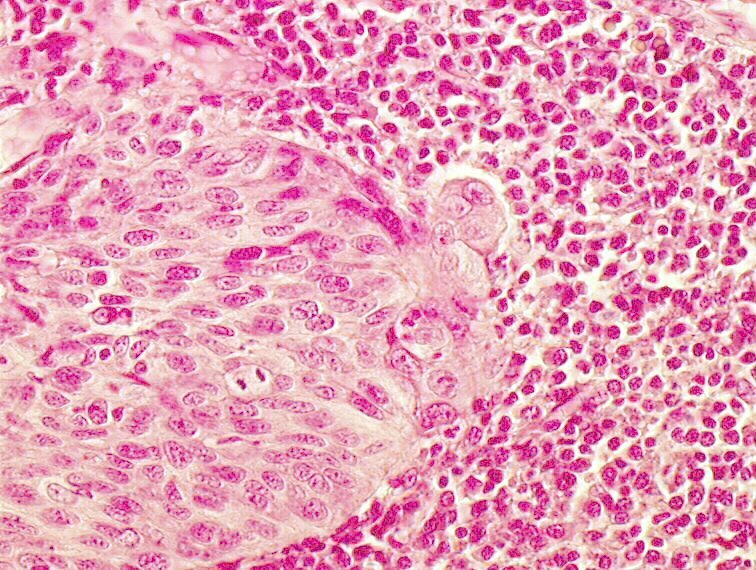 Invasion of the connective tissue by a few mature neoplastic cells (less than 1 mm), invasion surrounded by a dense inflammatory infiltrate. Semi serial sections are needed. Histological entity integrated into microinvasive carcinomas since 2003 WHO classification.